On Wednesday morning, August 17, 2005, some 10,000 Israeli soldiers fanned out across 21 Jewish communities in the Gaza Strip. Their mission, following the Israeli army’s order eight days earlier, was to evacuate—forcibly, if need be—the remaining Israelis. Dr. Michael Goldstein stayed behind in Neve Dekalim to help tend any injured. This summer will mark 10 years since Israel “disengaged” from Gaza, pulling out all military forces, dismantling its 21 communities—known collectively as Gush Katif—and uprooting the 8,600 civilians for whom Gaza had been home. Not trusting what the Palestinians would do with the 48 graves in the cemetery, the Jewish dead were reinterred elsewhere in Israel. Laurence and Sylvain Baziz had already tearfully left Gadid. Anita and Stuart Tucker were holding out in Netzer Hazani, waiting to be pulled out. For Oreet and Eliezer Segal in Ganei Tal, it was already over. Their community was the ﬁrst to be uprooted. Their lives and those of thousands of others would never be the same. The 21 Jewish towns in Gush Katif once provided 10 percent of Israel’s agricultural output and 65 percent of its greenhouse vegetables. 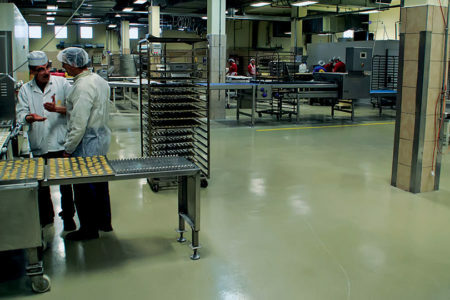 Yearly exports were valued at $25 million. What’s more, the Jewish communities were built mostly on vacant sand dunes. No Arabs were displaced by the Gush Katif settlements. Settlers who earned their livelihoods within Gush Katif were especially hard hit by the expulsion. Eighty-ﬁve percent of them lost their source of income overnight. No group was left more shattered than the farmers. Many were already in their 50s when they lost their homes and farms. Starting all over was hardly an option. Only 20 percent returned to farming, according to Judy Lowy of JobKatif, an organization that helps settlers rebuild their lives. It has taken the better part of 10 years, but Lowy said that most of those who can work have found employment. And 60 to 70 percent are, at last, in permanent homes in new communities. About 30 percent have yet to be permanently resettled. 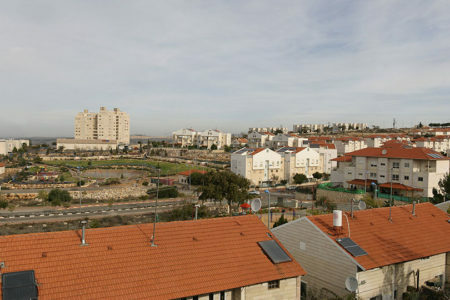 Most of the evacuees remain in southern Israel, many in Nitzan, near Ashkelon, which has the highest concentration of Gush Katif evacuees who still live in trailer-like homes known as caravillas. Lowy is convinced that as a group, the exiled settlers suﬀer disproportionately from illnesses and posttraumatic stress disorders. The lives of the second generation—the children who had no farms or businesses to take over from their parents—were also turned upside down. JobKatif has helped retrain some of these younger people and assist them with university scholarships. The failure of consecutive Israeli governments to eﬃciently relocate and rehabilitate the 8,600 Gaza settlers is one more reason why any deal with the Palestinians that would expel more than 350,000 Jews from their West Bank homes is unrealistic, say some Israelis. And that number doesn’t count another roughly 300,000 Jewish people who live in east Jerusalem. Laurence Baziz is determined not to be embittered by the scars disengagement left on her family. She and her husband, Sylvain, moved to Israel from France in 1981. Laurence studied agriculture in college, and Sylvain had a bit of hands-on kibbutz farming experience through B’nei Akiva, the Orthodox Zionist youth movement. They did not consider themselves professional farmers. 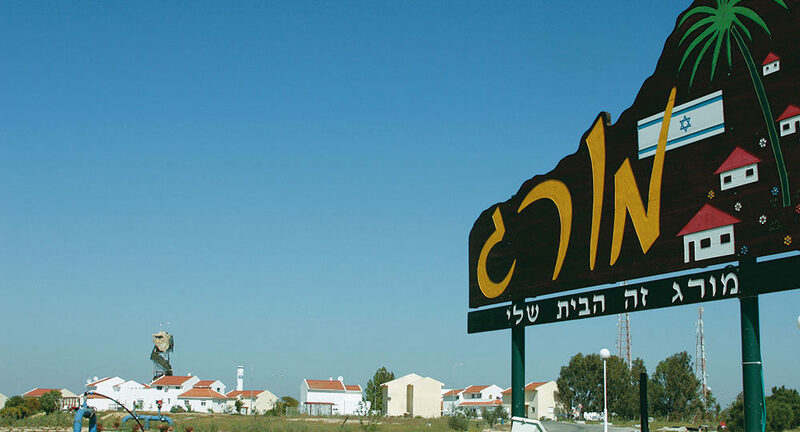 In 1986, the 20-something couple moved to the Gush Katif farming community of Gadid, established in 1982. The Bazizes joined about two dozen families there, including three who were also French-speaking. The Jewish Agency gave the Bazizes three-fourths of an acre to build greenhouses. They started out small, growing ﬂowers and tomatoes. Then they added bell peppers and cherry tomatoes. Later came world-renowned, insect-free leafy vegetables. On the eve of their expulsion, their oldest daughter was 20 and doing national service. One son was about to go into the army. Another was in high school. The youngest boy was in elementary school. And then everything they had worked for was gone. 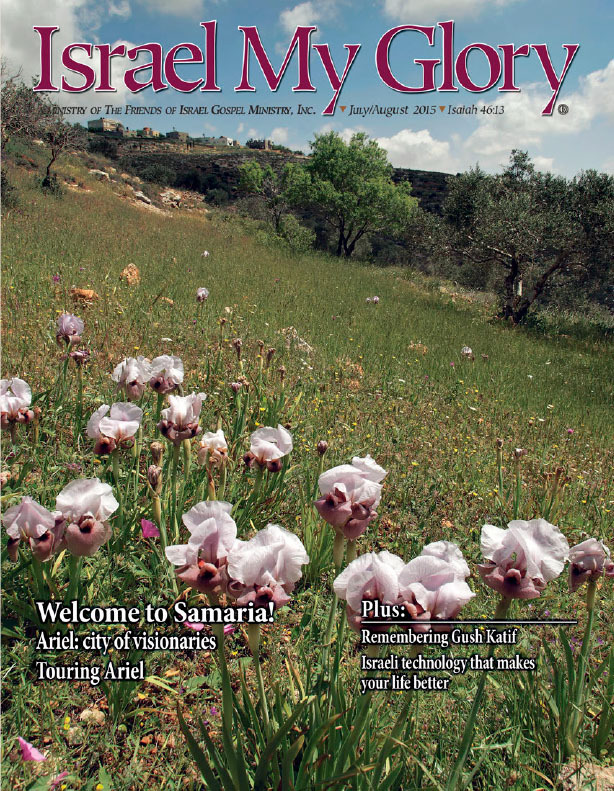 In disengagement’s wake, many Gadid families wanted to stay together and moved to caravillas in Nitzan. Now, 10 years later, many have relocated to Be’er Ganim, north of Ashkelon. Be’er Ganim was set up in 2009 as a place for Gaza’s farming families to live, though no farming is actually done there. This new rural community of about 260 families is also home to evacuees from various other Gush Katif settlements, including Bdolach, Elei Sinai, Rafah Yam, Gan Or, Netzer Hazani, Nisanit, Neve Dekalim, and Morag. A few years before disengagement, Sylvain and a group of partners had set up a produce-export business, brokering between farmers and buyers abroad. After the Baziz family was forced to leave Gadid, Sylvain decided to focus on his business interests rather than try to return to farming. Some farmers found a way to hold on to their clients and continued to farm in greenhouses reestablished south of Ashkelon. 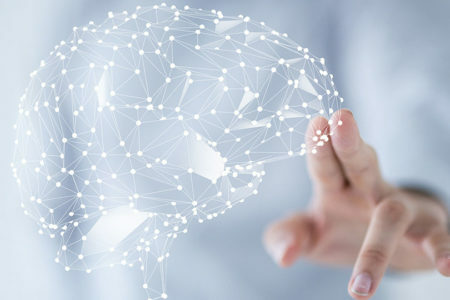 Many, however, lost their clients and connections. Others were traumatized. These days Laurence works for the Katif Heritage Center in Nitzan to preserve the memory of the uprooted communities. In the aftermath of disengagement, the Baziz children felt hurt and angry. Laurence and Sylvain urged them not to give up on their Zionist principles or religious faith. The couple refused to blame the Gaza pullout on the State of Israel or the Israel Defense Forces. They reluctantly accepted that disengagement was carried out “technically” in a democratic manner with the approval of the Israeli cabinet and a Knesset majority. The couple encouraged their children to get on with their school and army lives. Over the past decade, their children have established families of their own, making Laurence and Sylvain proud grandparents. Laurence is convinced that disengagement was a symptom of a problem plaguing Israeli society. Too many have forgotten that faith and land are at the core of Jewish peoplehood. 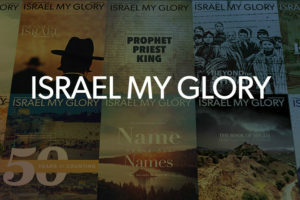 Israelis need to strengthen their faith and intensify their love for Eretz Yisrael, the land of Israel, she said. Be’er Ganim is now putting the ﬁnishing touches on its new synagogue. The stained glass windows in the desolate Gadid synagogue had portrayed the 12 tribes of Israel. Those in Be’er Ganim will depict what the 8,600 Jews of Gush Katif accomplished before they were forced out. Anita Tucker and her husband, Stuart, moved to Israel from the United States in 1969. She was originally from Brooklyn and he from Cleveland. 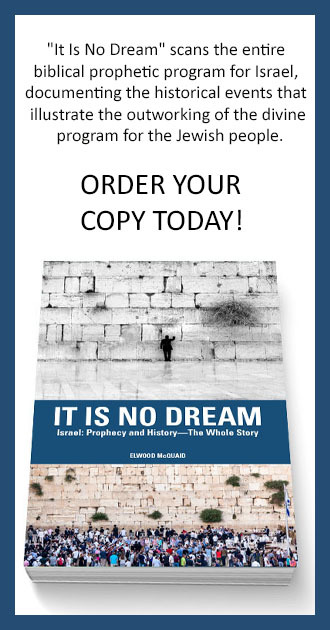 They arrived during the heyday of national optimism after the 1967 Six-Day War in which beleaguered Israel overcame Jordan, Egypt, and Syria to capture Judea and Samaria, Gaza, the Golan Heights, and Sinai. The Tuckers could have moved to Tel Aviv or Jerusalem; but they preferred to be pioneers in Beersheba, “capital of the Negev,” Anita said. In 1976 they took on a new challenge: They were among the founding families of Netzer Hazani, a farming community of modern Orthodox Jews in Gush Katif. Stuart commuted to Dimona in the Negev, where he was a biology teacher. Anita left teaching altogether to become a fulltime farmer. The couple had ﬁve children. A friendly Arab mukhtar (village chief) told the Tuckers and some of the other founders of Netzer Hazani, situated on Gaza sand dunes, that the last time anything grew there was when the patriarch Isaac lived nearby. “Nothing can grow here,” he told them. Israeli government agricultural experts weren’t much more encouraging. The pessimists were wrong. The ﬁrst crops were tomatoes. Later, after much experimentation, came greenhouse flowers and herbs. Anita took immense pride in her red tomatoes. By August 18, 2005, Netzer Hazani was no more. Anita recalled that as the disengagement deadline loomed, her family—married children, an army oﬃcer son included—came together to be expelled as one from Netzer Hazani. A few days later, the Tuckers joined other evacuees crammed into a religious school near Jerusalem’s Western Wall. They stayed brieﬂy at a motel paid for by the government. Then they found temporary lodging in the Golan Heights. But that meant Stuart, who worked way south in Dimona, could rejoin the family only once a week for Shabbat. To be closer to their former homes in the south, the family took sanctuary in a ramshackle guesthouse at Ein Tzurim, an Orthodox kibbutz not far from Kiryat Malachi. Anita recalls that they longed for a sense of place and to be productive and ﬁnancially independent again. And they wanted—like most Gush Katif evacuees—to live nearby others from their old Gaza community. There are 18 towns, from Eilat in the south to the Golan Heights in the north, where Gush Katif residents have resettled as a group. Some have even bunched together in improvised urban communities like the Jezreel Valley town of Afula, Anita said. The dream of rebuilding their communal life began to materialize in 2010, when a new Netzer Hazani was founded not far from the city of Rehovot and near Yesodot, an ultra-Orthodox kibbutz. Kibbutz Yesodot had once been a farming community. 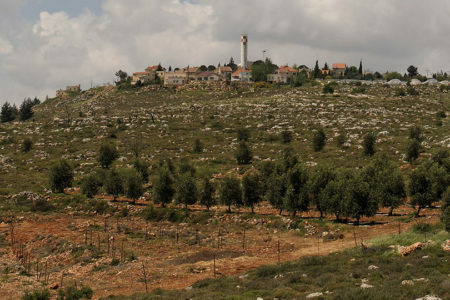 It was willing to sell its farmland to the reborn Netzer Hazani. But Gush Katif’s second generation found it difﬁ cult to put together enough money to buy the land from the government. The Tuckers ﬁnally moved into their permanent house in Netzer Hazani in 2012. 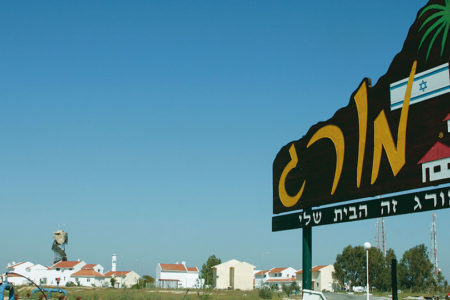 Today about 90 families live in Netzer Hazani, most of whom are connected to the original 40 families forced out of Netzer Hazani in Gush Katif. And most no longer work in agriculture. Financial support to resettle the community in new homes came from Jewish people abroad who also helped defray the cost of rebuilding the community’s synagogue and community center. The new synagogue, like the original, is named after Rabbi Yitzhak Arama, who was murdered by Arab terrorists in a 2002 shooting ambush as he drove with his family to a prewedding celebration. The community center is named for 18-year-old Itamar Yefet of Netzer Hazani in Gush Katif, who was killed in 2000 by a Palestinian sniper. Anita knows of scores of evacuees who still have not found permanent housing. For many of the evacuees, there remains a yearning for the place—and a way of life—that were taken from them, Anita said. Oreet Segal from Brooklyn and her husband, Eliezer, originally from Chicago, came to Ganei Tal in Gush Katif in 1993, along with their four children. They wanted to be pioneers. Ganei Tal was aﬃliated with Hapoel Mizrachi, the settlement movement of what was then the National Religious Party. Approximately 65 families lived in Ganei Tal, not far from the Mediterranean. Oreet and Eliezer became farmers, growing red bell peppers in hothouses. Their settlement was the ﬁrst to be expelled. The soldiers found Oreet, Eliezer, and two of their children at home. Two other children were already serving in the IDF. The family was taken to the guesthouse of Kibbutz Chafetz Chaim, a short drive from the Gaza Strip. There were not enough rooms, so they were separated from their children. Their youngest daughter, Adah, was about to start 10th grade. “We had no work and were not sure where she would go to school,” Oreet said. After three months in the guesthouse, they were assigned to a mobile home close by in Yad Binyamin. “The entire structure was more like a cardboard box than a home,” she recalled. Five years later, most of the 65 families from Ganei Tal were still living in temporary housing in Yad Binyamin, joined there by other Gaza evacuees. The Ganei Tal group wanted to stay together permanently. The bureaucratic wheels ground slowly. It took nearly seven years of political, legal, and bureaucratic wrangling until authorities were able to provide them with a permanent location in what were once the cornﬁelds of Kibbutz Chafez Chaim. The settlers also won a battle to keep the Ganei Tal name. Oreet has now been living in her permanent home for three and a half years. At ﬁrst, the family was denied government compensation. After hiring lawyers, they got what the law permitted; but that was hardly enough to rebuild their lives. The family had lost a 3,500-square-foot home and could barely build a house half that size. There were also permit fees and lawyer bills they needed to pay. Evacuee farmers like Oreet and Eliezer were given money for their greenhouses, but at depreciated value, “pennies on the dollar,” she said, and in no way enough to start anew. It made no diﬀerence if the evacuees had fully cooperated with authorities or resisted expulsion until the last minute. Almost all went through the same hassles in completing the compensation paperwork—like being asked to present elementary school report cards for children who were by then of army age or for hard copies of phone bills dating back 10 years, Oreet said. She feels authorities made a serious mistake in handing over comparatively large payments to displaced Gush Katif residents. With no ﬁnancial-planning help to go with the money, many families literally ate through their housing allowances just to keep food on the table. Many Ganei Tal farmers who lost everything were in their mid to late 50s. Some stayed in agriculture, particularly if they had bigger operations or adult children interested in carrying on the business. A few with commitments from European produce buyers hit the ground running because they had rented hothouses outside Gaza before disengagement, she said. Mainly younger people or second-generation farmers successfully made the transition. For most expelled settlers, farming would no longer be an option. A short drive away, farming conditions (soil, humidity, temperature) were surprisingly diﬀerent. In Gaza, farming was done in sand (which held the root ball of the plants) and was managed by sophisticated computers that infused the right amount of fertilizer, water, and nutrients. In the new Ganei Tal, farmers must grow crops directly in the earth. The government’s eﬀorts to retrain the evacuees were sometimes clumsy. Oreet considers herself fortunate. While health problems kept Eliezer on disability, she was able to take advantage of an all-expense-paid government training program to qualify her as a certiﬁed tour guide. There was even a modest living stipend. The 2014 Gaza war kept many tourists away. Oreet loves her work and said she particularly enjoys guiding Christian visitors in the Holy Land. “Whatever ill will and hurt there is has not been directed at the state but against the small group of politicians who thought up and implemented the disengagement,” she said. The best news, Oreet made clear, is that 10 years later, almost all the original 65 families from Ganei Tal, and many of their children and their families, too, are now living together again as a community in permanent homes in the new Ganei Tal. 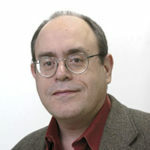 Michael Goldstein was a family doctor in Neve Dekalim’s medical clinic. He worked alongside his wife, Celia, a nurse. The community was founded in 1983, and many of its original members were evacuees from Jewish settlements in the Sinai Peninsula, which Israel ceded in April 1982 in return for peace with Anwar Sadat’s Egypt. For seven months after disengagement, the London-born couple and their eight children were forced to live in a few crowded hotel rooms. Celia recalled that period as the most emotionally and physically challenging time of their lives. Their friends and neighbors were scattered around Israel. Many eventually reassembled in Nitzan, where the Goldsteins have been living in a caravilla. Celia knows families that have been torn apart by the experience of living for nearly 10 years without a permanent home. She knows of marriages that disintegrated, children who resent their parents for not somehow ﬁghting harder against the expulsion, and neighbors who suffered trauma-related crises. Unemployment also took a toll. Some evacuees were left in diﬃcult ﬁnancial straits and didn’t receive their rightful share of relocation aid. Many had to spend what they did receive on day-to-day living expenses, she said. To add insult to injury, since the day they were forced out of Gush Katif, they have been within range of Palestinian rockets from Gaza. The heavy bombardments in the summer of 2014 repeatedly sent the Goldsteins to makeshift shelters because their temporary caravilla has no reinforced-concrete security room. Though the painful memories persist, the sense of displacement is nearing an end. Celia and Michael were expected to move into permanent housing in Nitzan soon. They are starting to take their belongings out of storage. There is sadness in discovering that so many of them are now ruined. “Government officials told us to pack for 10 days, but it’s been 10 years,” Celia said.